It all started when we had a boat trip to a cave that was FULL of bats! Anyway, S.W.M.B.O. Wanted us to go on a 12 km walk! 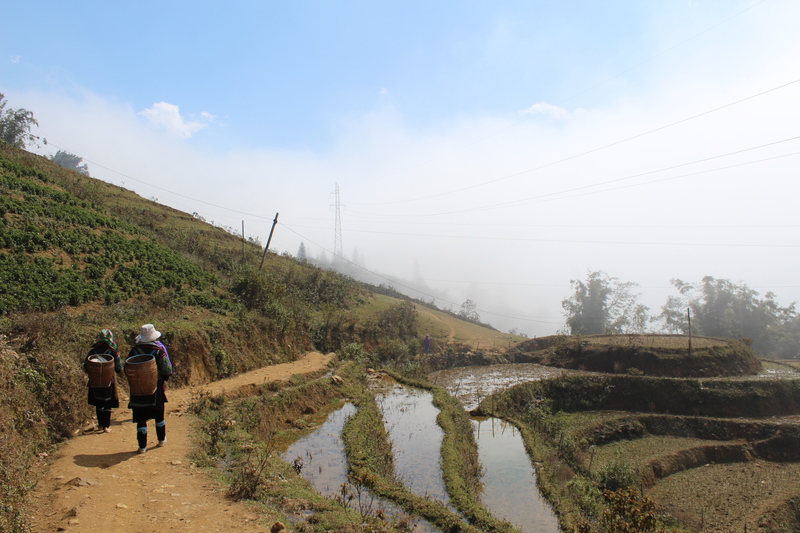 I know that we did something like this in Sapa, Vietnam. there it was cold, cold, cold! but this hike is going to be hot, hot, hot!!! But when we were on the boat, She-who-must-be-obeyed said NO WAY!!!!!! That hike is going to be way to dangerous! I will only go if we can find a guide! Our boat driver said, Oh no problem! I can just call my cousin! He used to work in the army, but retired 8 years ago. He now does hiking. His name is Xhemal (Say Jamal). I could call and ask him is you like? Yes please! said S.W.M.B.O. . So he Called his cousin asking if he could guide us. He will meet you just outside your building! said our boat driver. 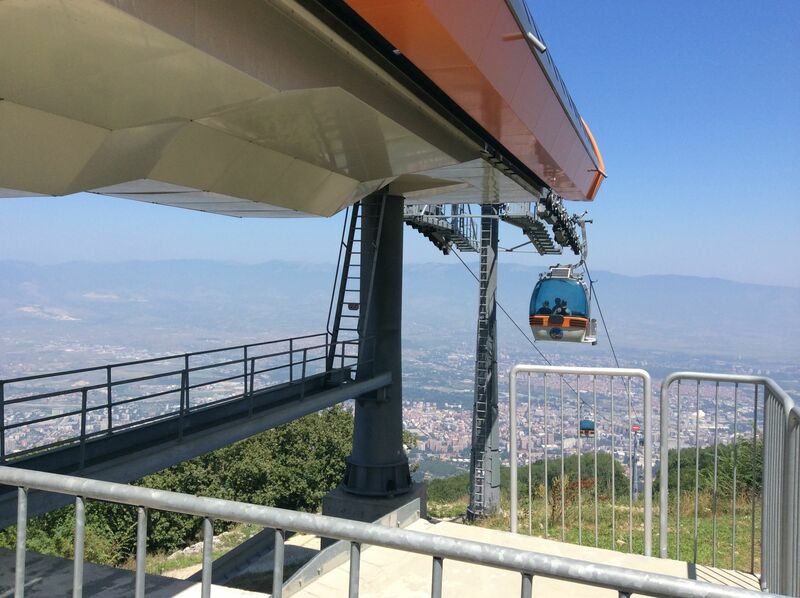 First we went on a gondola to the top of Mount Vodno Where the Millennium Cross is! And that’s where it all began! right! SWMBO here to say that we walked up, down, around hill and dale (and mountain!). It was HOT (33 degrees celsius) but for much of the walk we were in dappled shade. 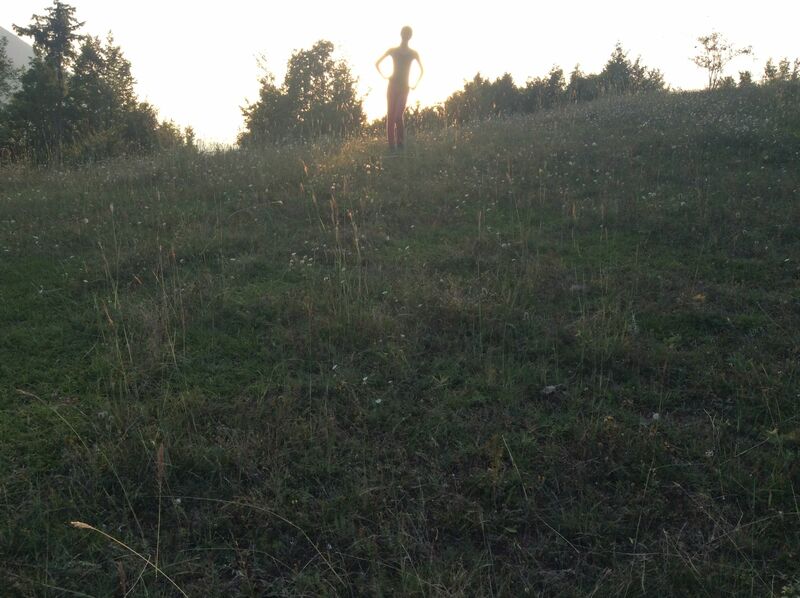 The scenery was beautiful. Lastborn had a breakdown early on (unusual for her) so we took a fairly long rest. Then we each successively succumbed to our own breakdowns which led to more rests. 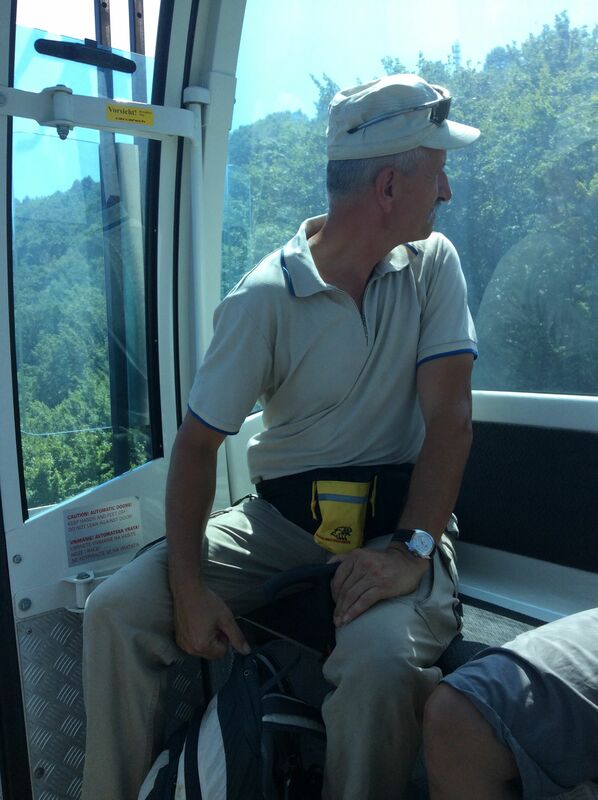 Our guide was excellent and we always felt that we were in good hands. He was a pleasant companion to have with us. When Lastborn didn’t want to wear her sun hat, he tied his tea towel on her head and proclaimed her, “Mother Teresa”. This hike was very challenging and for those considering it, I would recommend hiring a guide unless you are an expert hiker with adequate equipment. The trail is not well marked in places and there are many possible paths. At points the trail is extremely narrow and there are thorny bushes on either side. Hikers frequently suffer from heat exhaustion. 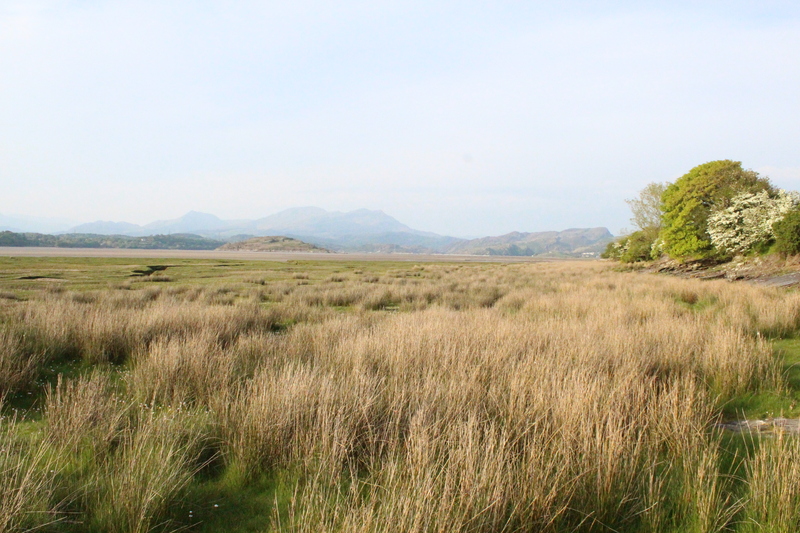 There is no place to get water for the first 8 kilometres or so and you are unlikely to see another soul on your walk. The last few kilometres of the hike consist of a dangerously steep descent on chunky rocks that continually shift underfoot. It was there that I slipped and sprained my ankle. Lastborn had her breakdown early on and was a trooper the rest of the way. 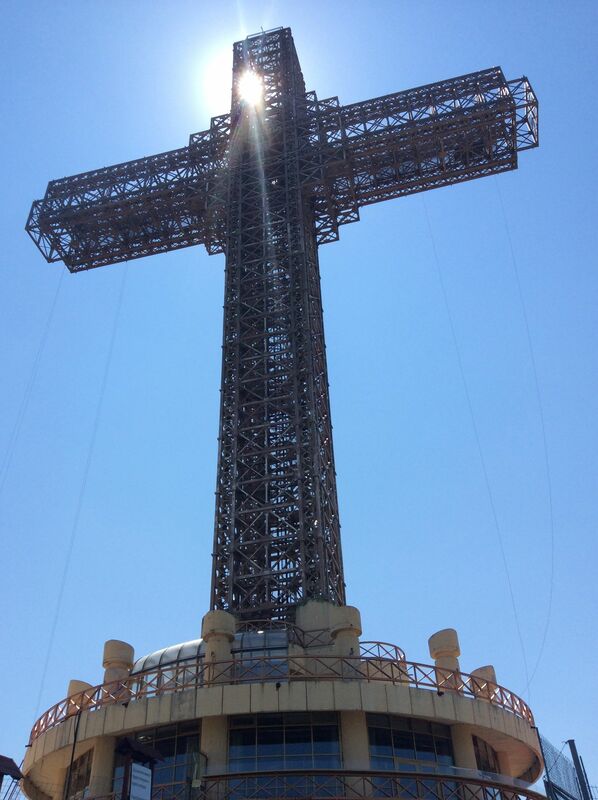 We left our apartment at noon and probably started the walk at 1 pm (after taking the gondola and visiting the cross). We ended at nine pm! The last hour, we hiked in the dark with a head lamp. Oy vey! What an adventure. Why did it take so long? Who knows? 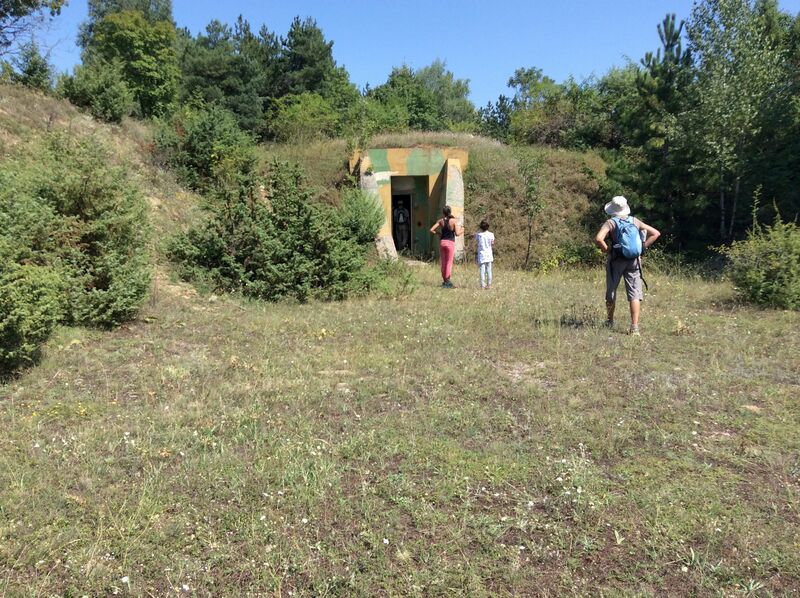 Maybe: heat, breakdowns, difficult terrain, picnics, stops to admire the views and learn about the distant villages and peaks, bunker visits, exhaustion, water breaks, splashing cold mountain water on our heads. Maybe the fact that we hiked a 14.5 kilometre route, not 12. The sun was setting and we still had hours to go! When we had finally worked our way down to the water’s edge, we got to hit a hammer on a gong to signal to the boatman on the other side of the lake to pick us up. What a rag-tag bunch he found: sweaty, snotty, scratched, bloody, hobbling, tear-stained, covered in dust. He ferried us across to the fancy restaurant and hotel on the other side. 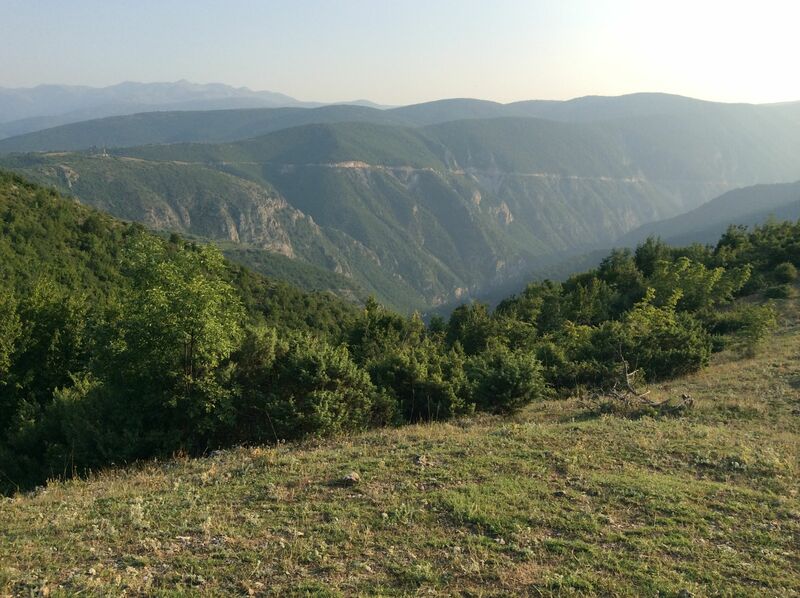 From there we walked another 500 metres to the parking lot and got in a taxi to drive us back to Skopje. Thank-you Xhemal for being so knowledgeable, patient, safety conscious, strong, fit, tolerant, and kind. We honestly could not have done that walk without you!! It was an unforgettable way to spend our 21st wedding anniversary! Two years ago Fahbio and I celebrated the end of my surgery, chemo and radiation treatments with a romantic trip to Porto. We spent a few days in this magical/overlooked/undervalued city and then took a train up the Douro Valley to Pinhao. The Douro Valley is a UNESCO World Heritage Site and the place where Port wine is created. 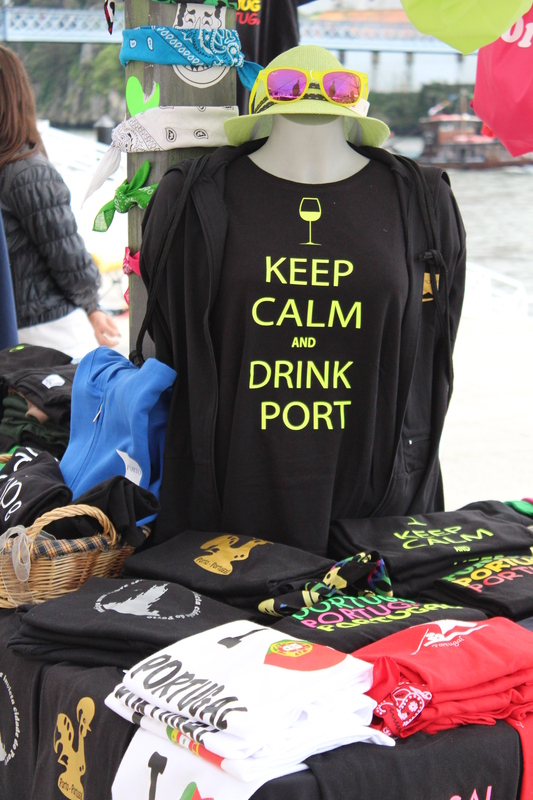 The grapes are grown in the Douro and made into port. 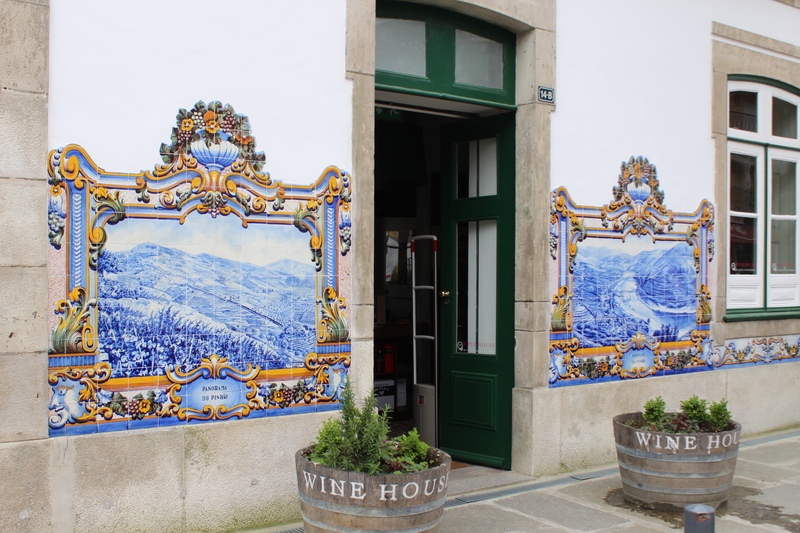 The port is then shipped to the big port houses of Porto (Sandeman, Dow, Croft, Taylor etc.). 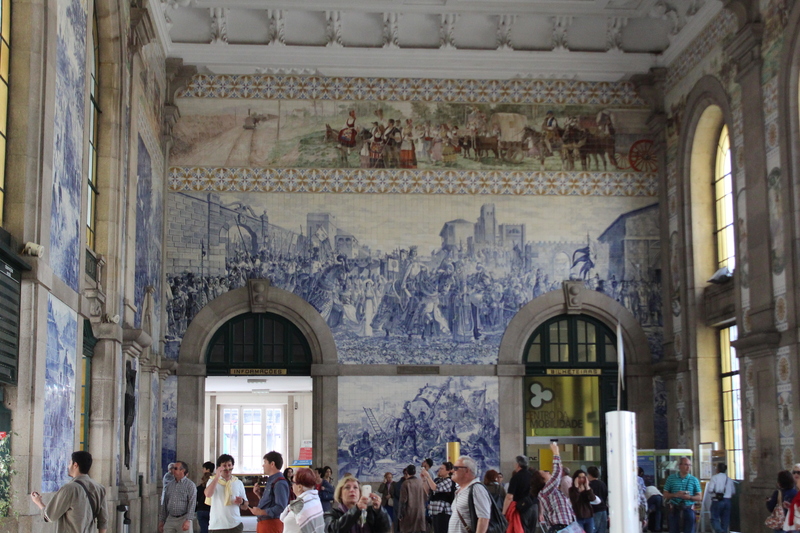 Entering the Sao Bento train station in Porto, you encounter stunning azuelos. “Azuelos” are a national art form unique to Portugal. 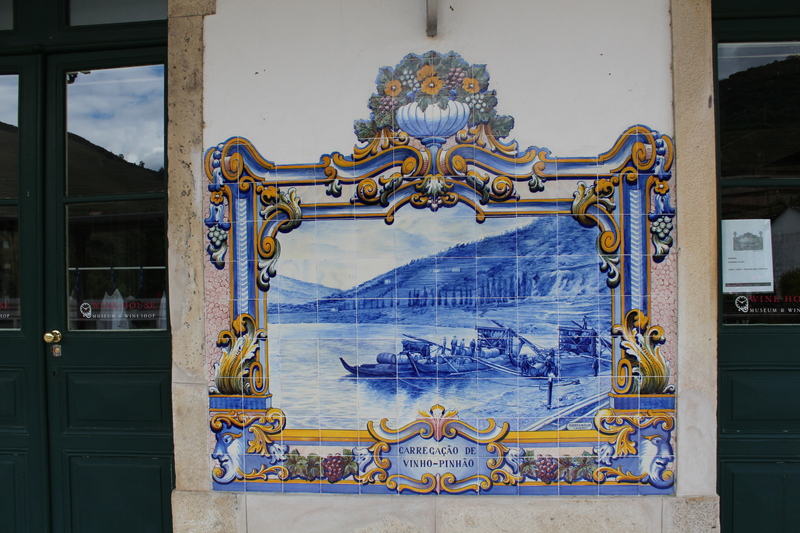 Influenced by Moorish invaders, Portugal took North African tile work and created a beautiful style of mural. 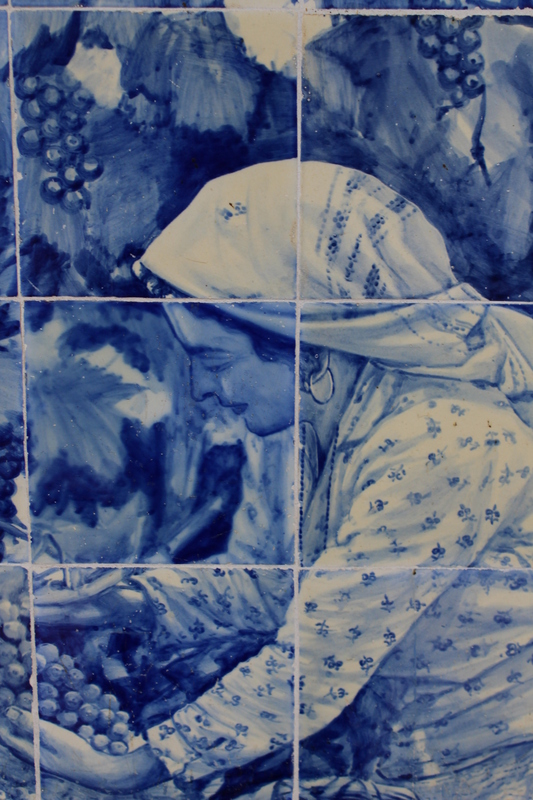 The tiles are traditionally blue and white (azuelo is blue in Portuguese) and differ from other tile work in that a huge painting is done on smaller tiles that are fired and then assembled. Not like a mosaic where smaller tiles of individual colours are used to “paint” a picture. Renowned as one of the most scenic train journeys in Europe, the ride to Pinhao is wonderful. And made more wonderful by being so affordable (under $20 for a two-hour ride). 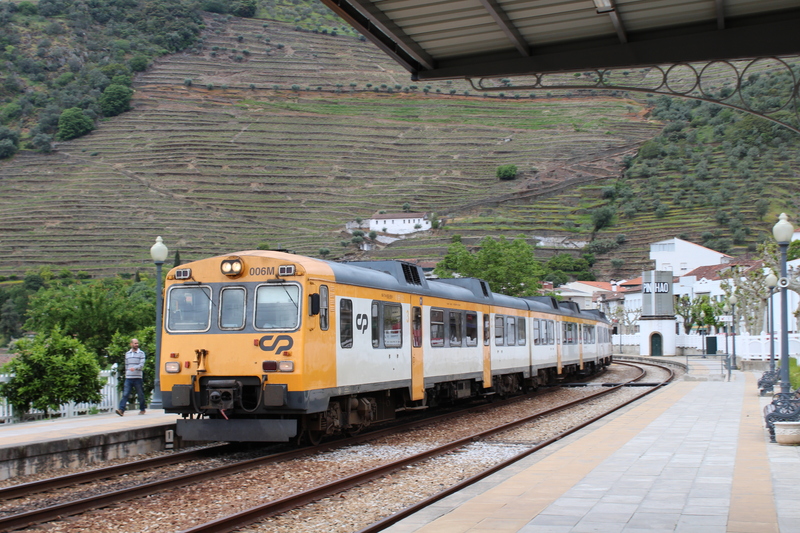 We exited the train at Pinhao and encountered some of the most prized azuelos of Portugal. In fact, our destination was Tua, further on, but I wanted to stop in Pinhao first to see the azuelos. We had lunch at a non-descript place in Pinhao at which we had one of the most memorable meals of our lives. 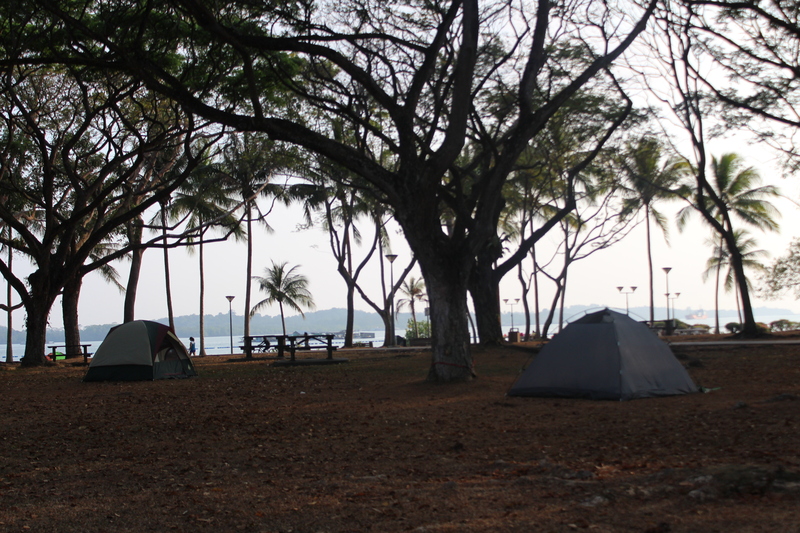 Everything was simple and inexpensive and spot-on perfection. The meal was so good that we made a detour on our way back just so we could eat there again. And again, it was perfection. 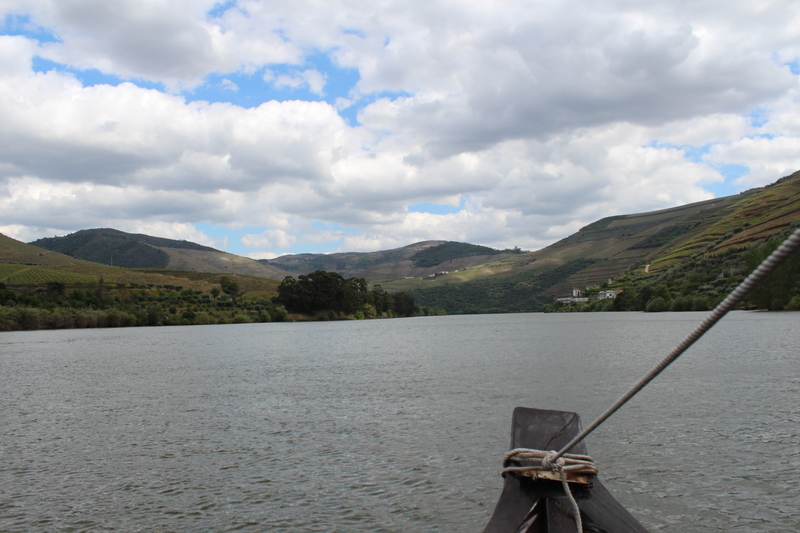 I also really wanted to take a journey on a traditional rabelo boat – an experience that happens to begin in Pinhao. In Porto, there is a real industry in rabelo excursions but they are large boats created for tourists. Rabelos are wooden boats that used to carry casks of port from the Douro to Porto. A two-hour tour in a beautiful wooden rabelo in Pinhao costs 20 euros ($30, same as in 2012, ½ price for children). The journey takes you from Pinhao to Tua, and is very good value for money. The rabelo holds about 20 people. You get a perspective of the valley from the river that you don’t get from the riverbank and the captain is at your disposal to answer any questions you might have. Believe me, I had a lot. Our final destination was Tua and after some pleading the rabelo owner kindly allowed us to do half the trip and disembark at Tua for ½ price (because it was off season and the boat wasn’t full). In Tua, we debated taking a taxi to our inn but decided we would prefer to walk (10 kilometres). Thus began one of the most epic, wonderful and crazy walks of our lives. 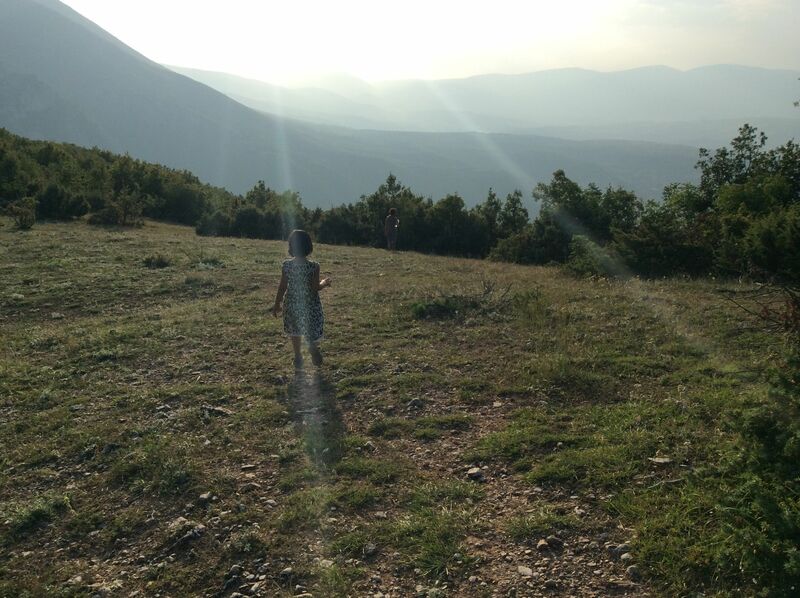 We walked through vineyards and on old paths that used to be used by grape-carrying donkeys. The walk was the best. Until we got a little lost and it got a little late and we were in the middle of nowhere. So for some reason we decided to separate (seemed like a good idea at the time to) so we could both be lost. Then for a period it was no fun at all. Eventually, we found each other and walked until it was dark and a few minutes after nightfall (or maybe at precisely that moment), we arrived at our destination. Our hostess chastised us for not calling (we didn’t have a phone), was incredulous that we had walked (!!) 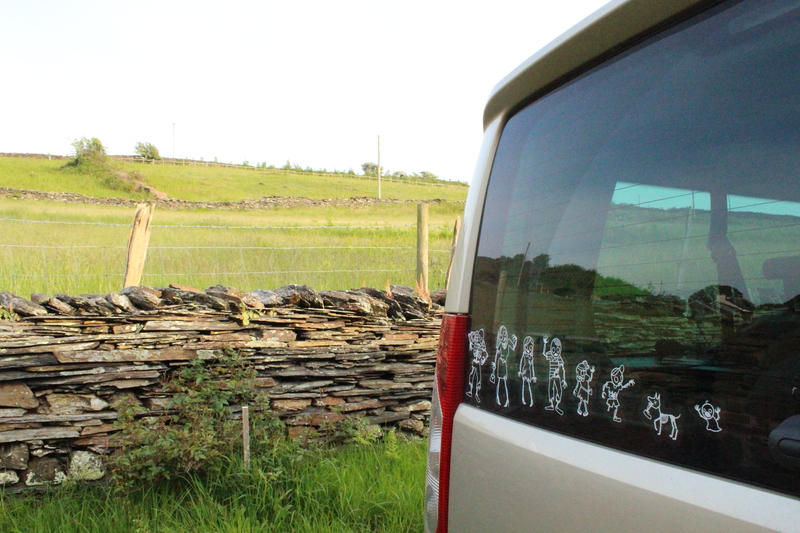 and showed us to our cottage. What a place! Heaven on earth is the only way to describe it. We kept imagining being there with the kids but knew that would never happen. Well, somehow we made it happen. It is a splurge and yet so very affordable in the grand scheme of things. The same price as staying at a mediocre Travellodge on the way to Philadelphia. And here we have a house with lemon, cherry, and pear trees, with a view to die for. And an amazing buffet breakfast in the main house included. The kids were so excited. 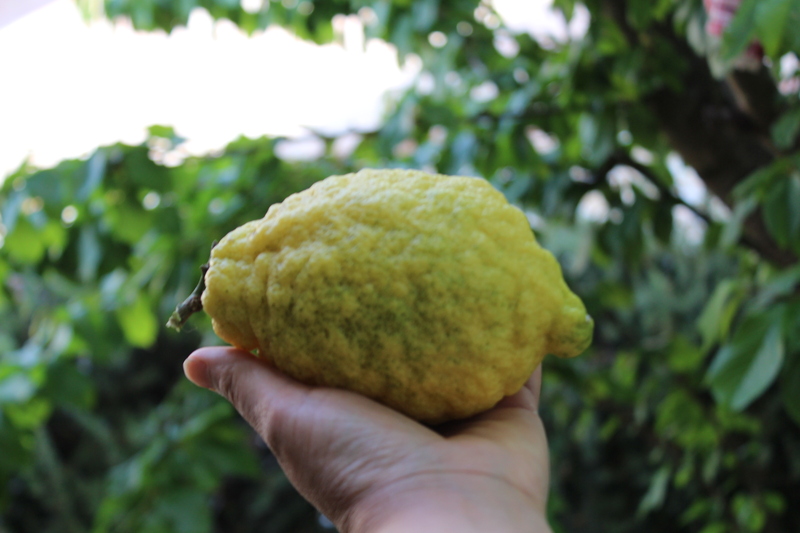 We picked lemons the size of small footballs (no exaggeration) and threw them to each other as if they were. We freaked out over the rosemary bushes (in flower) the size of skating rinks (again, no exaggeration). We have done things a little differently this time. 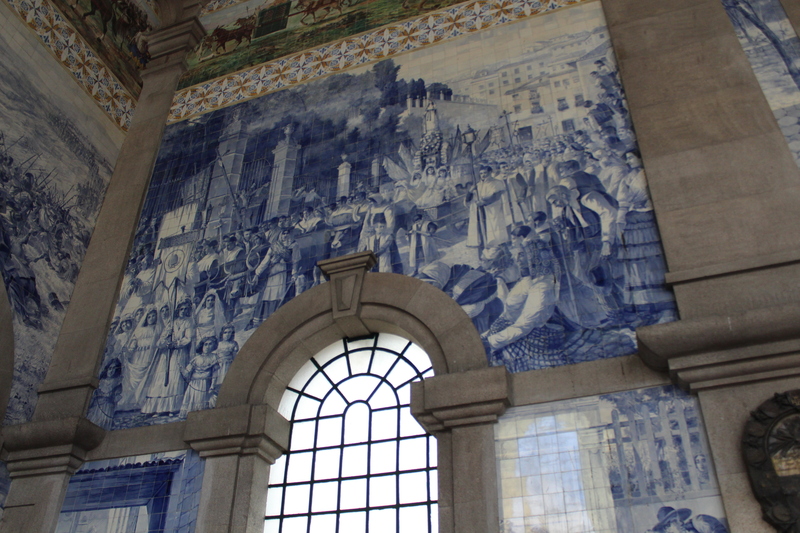 We showed the kids the azuelos in Sao Bento but then we drove to Pinhao, before viewing the azuelos of Pinhao. They depict all the important aspects of the regions as seen by the photos in this blog post. Best value soup ever (not to mention delicious food)! We had a wonderful lunch at the same place. Firstborn declared, “That was the most reasonably priced soup I’ve ever eaten.” I laughed and teased her that not too many 16 year olds were concerned with their soup being good value (1.50 euros/$2.50). Lunch was delicious! Then we took a rabelo tour. The water level was too high, it being spring, so the boats are not allowed to go as far as Tua for the next week or so. 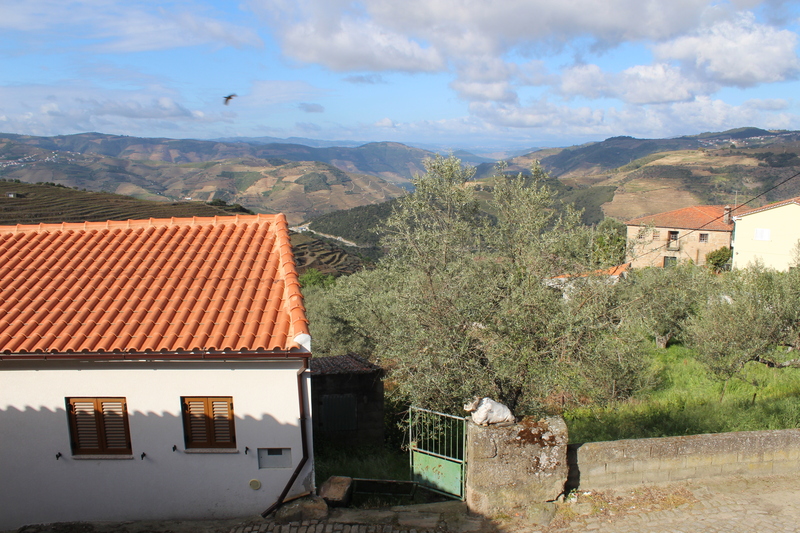 Too bad – that is a beautiful part of the Douro. 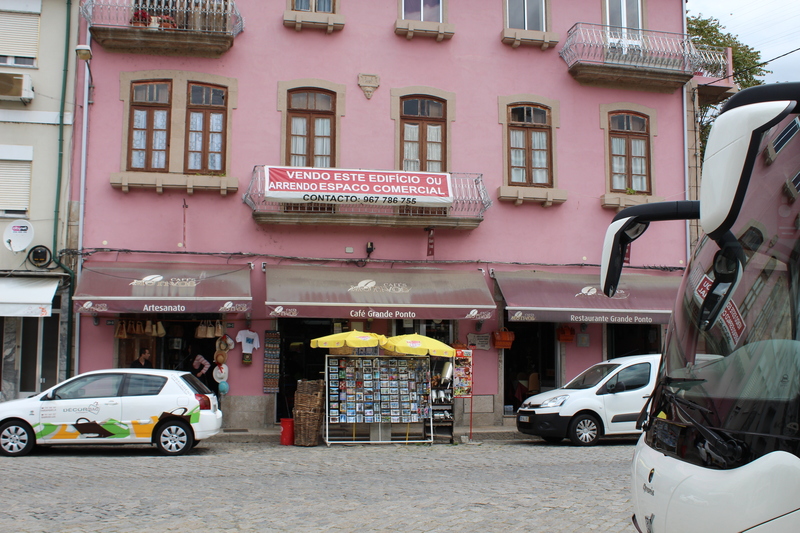 Instead, we did a one-hour tour, beginning and ending in Pinhao. It was off-season again so the owner kindly offered to take us for a private tour at the time that suited us rather than making us wait for the next scheduled trip. After the rabelo experience, we jumped in our van for a 50-minute ride to our place. Tomorrow, we will take a hike on the paths and donkey trails around here, picking up chunks of cork and other natural souvenirs as we go. It was really special today to show the children the tree where we got the chunk of cork we have in our kitchen back home. 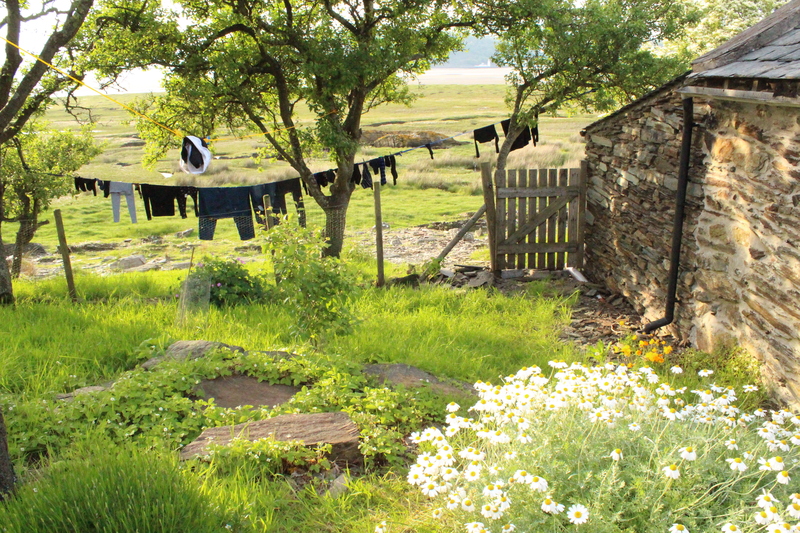 PS – If you want to experience one of the most beautiful “culturally modified landscapes” on earth, come to Tralhariz and stay at the Casal de Tralhariz.